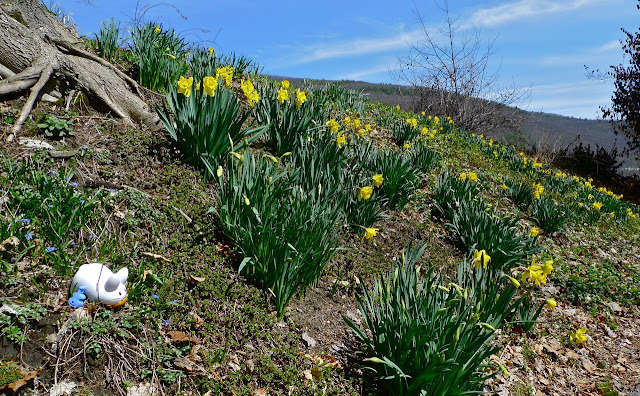 Pipkin heads down Daffodil Hill. Where's he going with that blue guitar? Ooh! Looks like he's going to take lessons at the Brattleboro Music Center! Visit the BMC's website to learn more about their performances and programs. They have group and individual instruction for kids and adults, in 15 different instruments and in voice, and they have plenty of fun workshops throughout the year. You can get together with other musicians and join an ensemble or the student orchestras. There's lots of joy in making music, so make it a part of your life! 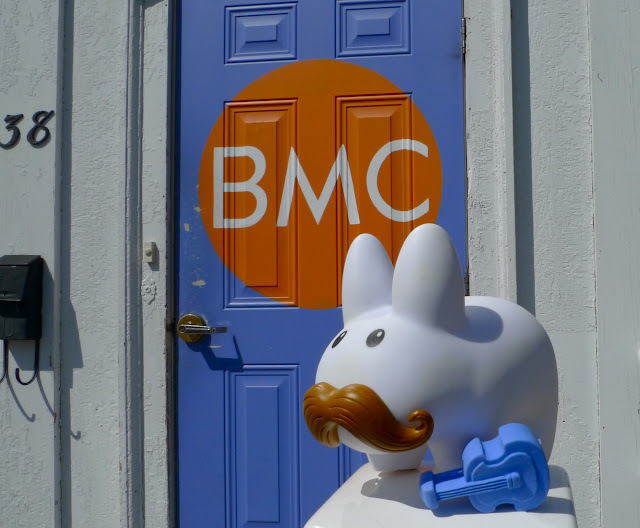 So glad to have Pipkin visit the BMC - I believe he has natural talent!!!! Hope lots of his friends can join him.